So, when we were in Turkey there were kabobs everywhere (I guess I should say kebaps instead). Little did I know… there is more than just the shish kebob. Kepab just meansÂ roastedÂ meat and so, on the streets we saw many versions like this doner kebapÂ . I guess dishes that are derived from this are shwarma and gyros. Anyway, enough about meat… this is a cupcake blog. I got this idea one day when I was browsing on Pinterest. Remember – you can follow me on Pinterest if you click here. I even added a board where I am going to post my attempts at stuff that I found on Pinterest. So, this post will be pinned soon! I had a gathering to go to and the main dish was going to be kabobs so I decided to make my own kebabs – cupcake kabobs. The original things I pinned can be found here. 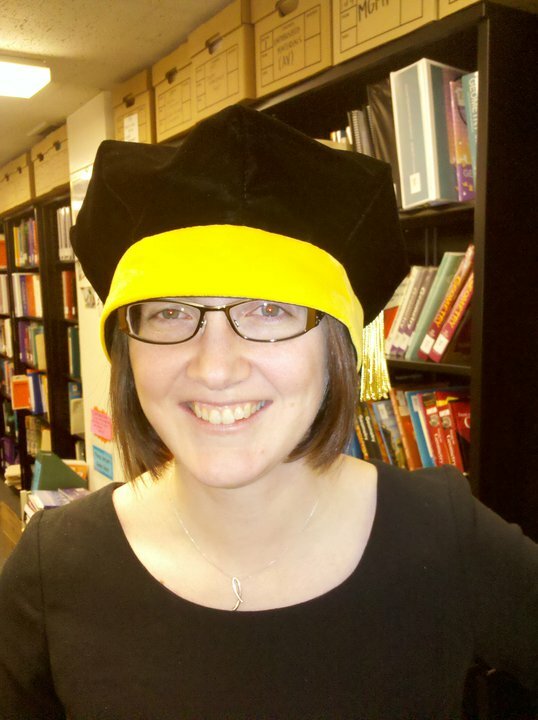 Here is how mine turned out…. 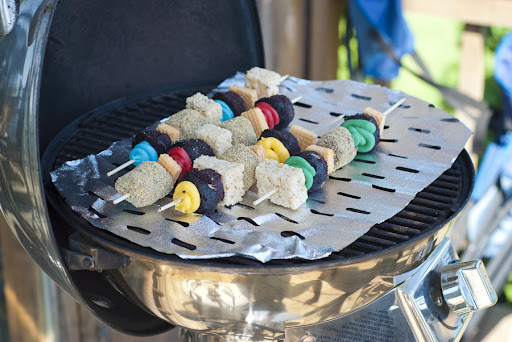 Cupcakes and a variety of other treats on skewers – how neat!Â Did I really grill them? No, but what a cool idea for a picture – I think that was Josh’s idea (I actually don’t remember who thought to do this). I made some mini chocolate cupcakes and used piped meltedÂ chocolateÂ for the icing so that it could be easily put through the skewer. I included someÂ chocolateÂ covered marshmallows rolled in graham crackers (my s’mores on a stick) and someÂ storeÂ bought wafers and rice krispie treats (or as the Cake Boss likes to call them – cereal treats). I think that these looked pretty cute, but I don’t know…. I’m not sure that they tasted as good. The wafers got a bit stale as they sat out and theÂ cupcakeÂ was still a little hard to eat, but I really like those s’mores!